achieve our aims and objectives, whatever their place of residence! The society relies on members’ fees and voluntary participation for its success. All individual talents, life skills, knowledge and experience are our strength. PLEASE JOIN US AND ADD YOURS! 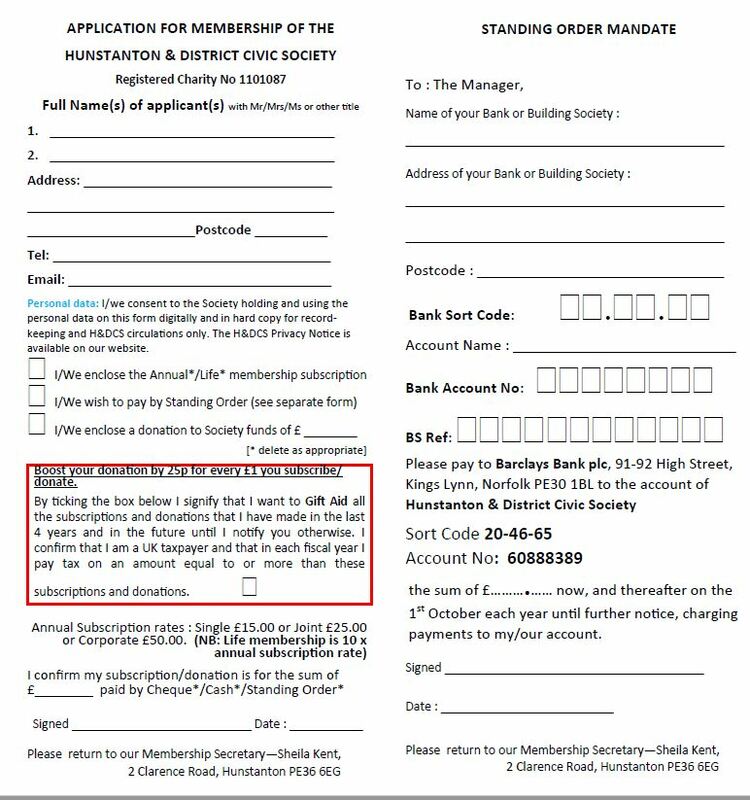 In view of the changes in the Data Protection laws, Hunstanton & District Civic Society have developed a Data Protection Policy that addresses our exposure to these new rules and how it affects you, our membership. The Privacy Notice is available by clicking on this link Privacy Notice.